because after all they all taste the same don’t they? Last weekend I decided to see what all the fuss was about, as everyone is chilli sauce mad these days. I decided to taste the diverse sauces of Screaming Chimp a company from the North east of the UK. Niall, thats Mr Chimp to you, talked me through them, he advised me to start with milder ones. I tasted Vic’s Ol Smokey which was very flavoursome, you can really taste the smoked paprika which was lovely, obviously there is some spice but the flavour is the most important feature of this sauce. Perfect for me actually, especially if I was having a BBQ and the weather is definitely becoming BBQ season. I then went on to try the Mango and Papaya which has won a gold star at the great taste awards and I can see why, it was a complete surprise; it was fruity but with heat, what a flavour explosion. I can see this going on so many different things. I would never have realised that a chilli sauce could taste so fruity. 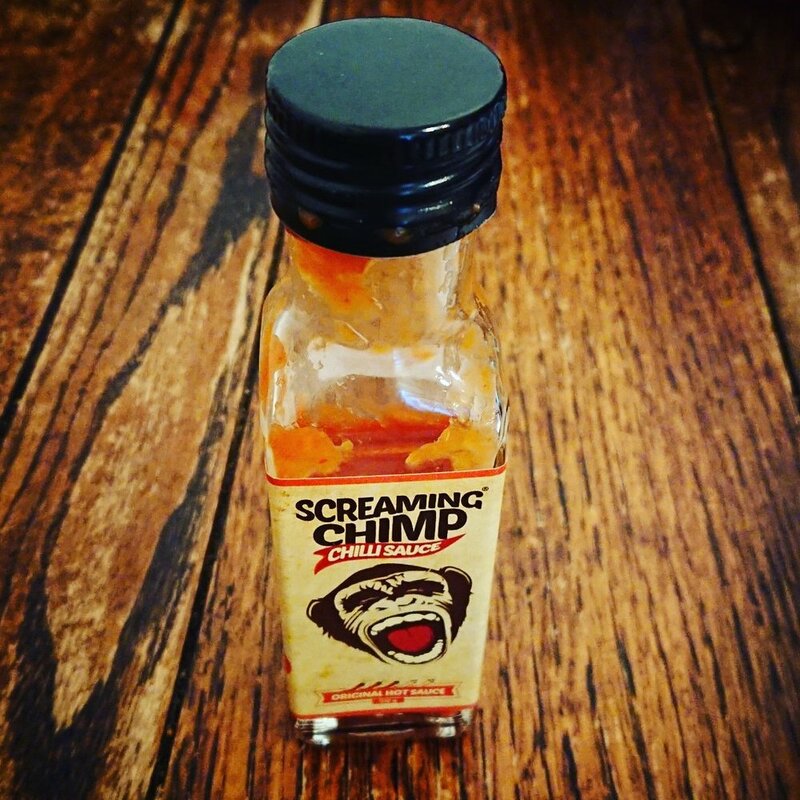 Screaming Chimp actually does 7 varieties of chilli sauces 2 of which have won great taste awards. They are in varying degrees of heat with different flavours, Mr Chimp told me it is more important for the flavour than the heat. With the variety of chilli’s which are available there is no reason why they shouldn’t have a different flavour from each other. One massive bonus for these sauces is that they are now on the Slimming World database of products so you can count your syns whist eating them, how good is that!!! I would highly recommend this product if you’re in the mood for some spice, check out their website or social media links below or you can find them in Fenwick in Newcastle upon Tyne. They not only do Chilli Sauces but other snacks such as Beef Jerky and even their very own Chilli Chocolate. Their products are gluten free and very very healthy, what more could you want in a chilli sauce, other than my own of course!! !